Great Canadian offers James Hardie Plank Siding in Edmonton, Calgary, Red Deer and Saskatoon. Your home endures a variety of forces. Strong winds, icy rain, and snow all take their toll on your home’s exterior. To protect your home from nature’s fury, contact the Great Canadian siding technicians. We offer weather-resistant James Hardie plank siding to Calgary and Edmonton residents. This fibre cement siding looks beautiful and stands up to extreme weather. Due to its aesthetic appeal and rugged construction, James Hardie siding is one of the most common siding materials in use today. Designed to resist rot, weather, and warping, this fibre cement endures more than vinyl and costs less than stucco. It has also received a Class A fire rating, which means it won’t melt, even under extreme temperatures. Increase your home’s curb appeal with the timeless look of plank siding. 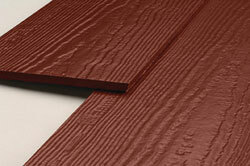 You can have this siding installed in smooth or wood-grain finishes, and you can get it in a variety of colours. It also comes with a 15 year manufacturer warranty on its finish and a 50 year warranty on its core. For almost twenty years, Great Canadian Roofing & Siding has offered James Hardie plank siding to Edmonton and Calgary homeowners. Our full-service construction company can and will beautify your home’s exterior, no matter your taste or requirements. Our years of experience allow us to deliver fast, professional results so your home can look its best. Our technicians can also repair and replace your home’s soffits, fasciae, and eavestroughs. Contact the professionals at Great Canadian for a free estimate.